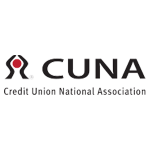 A credit union is a not-for-profit financial institution, whose focus is serving the financial needs of its members rather than making a profit. 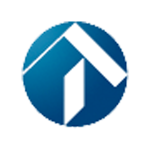 A credit union typically offers higher rates on savings, fewer fees, and lower rates on loans. Credit unions also offer extra personal service, voting rights, community involvement, a complete array of services, insured deposits, and dividends. Click here for more information about credit unions. WHO CAN JOIN 1st BERGEN FCU? All credit unions have a limited field of membership. 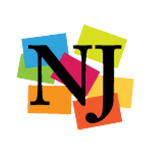 1st Bergen’s field of membership is open to persons who live, work, worship, volunteer, attend school or conduct business in Bergen County, Paterson, or Jersey City, NJ. Immediate family of current members are also eligible to join 1st Bergen. WHY JOIN? We’re a small credit union packed with big benefits for YOU! Click here for our Membership Application Account Card. Save time and fill in the blanks (if you are not sure how to answer don’t worry, our Member Service Representatives will be happy to help you). Don’t worry about your member Number just yet, you will receive that once you complete the membership process. You can save time by completing and then printing the application form and stop by our branch at 93-95 Main Street, Hackensack (the corner of Main and Atlantic) to complete the process. Please bring your printed application and two forms of identification. We will need to see a picture ID such as your Driver’s License, County ID, Green Card or Passport and one other form of identification like a copy of your Social Security card or TIN Number. If you are moving your accounts from another financial institution be sure to check out our EZ Account Switch Kit for helpful advice and any forms you will need to make your switch easy! Great Bergen Community Action (formerly Bergen Community Action Program) empowers low-income singles, couples and families with programs and services that help them on their road to self-sustainability and a stronger future. A GBCA Board decision was made to provide financial services to this rapidly increasing and underserved community: those with “poor” credit scores, low incomes, high debt and other challenges that may have forced them into a sub-standard financial position. The best way to achieve this goal was to create a credit union whose charter caters to this group of potential members. 1st Bergen received its federal charter from the National Credit Union Administration (NCUA), an agency of the U.S. government. 1st Bergen is the first credit union in New Jersey in more than 21 years to receive a federal charter from the NCUA. 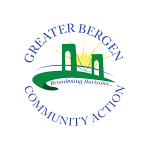 Greater Bergen Community Action, Inc.
Monday – Wednesday: 9 a.m. – 4 p.m.
Thursday – Friday: 9 a.m. – 6 p.m.
View our Security Policy and read our disclaimer regarding links to other sites here.